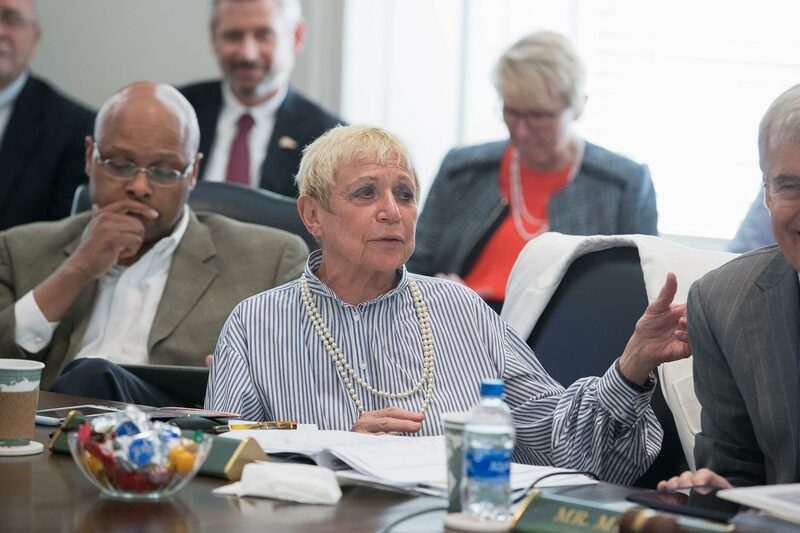 The University of Virginia’s Center for Teaching Excellence on Friday announced a $3 million gift provided by Board of Visitors member Barbara Fried, matched in part by the University of Virginia’s Bicentennial Professors Fund and supplemented by additional support from the President’s Office. The resulting $6 million gift will fully endow the center’s director position and will support the center’s mission of enhancing the teaching abilities and professional development of faculty and teaching assistants at the University. In a March 2017 meeting, Palmer went in front of the Board of Visitors to discuss the center and its hopes for expansion. In December, Fried met with professors and instructors who benefited from the center’s efforts. “It’s a wonderful project, and it’s something that can only get better as it reaches more people,” said Fried, a Board of Visitors member since 2014 who has a bachelor’s degree from the University of Chicago, a juris doctorate from University of Chicago Law School and a master’s degree from UVA. The center’s overall goal is to positively and significantly shift the teaching culture at the University, helping professors improve through evidence-based teaching methods. Fried’s gift will allow the center to expand existing programs like the Course Design Institute, which has reached more than 500 teachers already with its intense, multi-day, hands-on instruction. The gift also will allow the center to innovate with new programs and to reach an ever-increasing number of instructors. “That’s the objective, to keep expanding, to reach the entire faculty – and start all over again,” said Fried, who lives in Crozet. Tom Katsouleas, UVA’s executive vice president and provost, appreciates the center’s mission and said he is extraordinarily grateful for Fried’s gift. “As a board member, I could always count on Barbara to ask the most thoughtful and profound questions about academic and student life,” he said. “She has been a great partner. “UVA is providing national leadership in bringing to every student the kinds of experiences that not only help them in their four years here, but have been shown to affect their well-being and work engagement throughout life,” Katsouleas said. The Center for Teaching Excellence was founded in 1990. Palmer has been with the center for 15 years. He will celebrate his second anniversary as its director in October. Fried’s gift, he said, provides a burst of renewed energy for the center and its staff.